Orange Marmalade contained in a 3.5kg plastic catering pail. 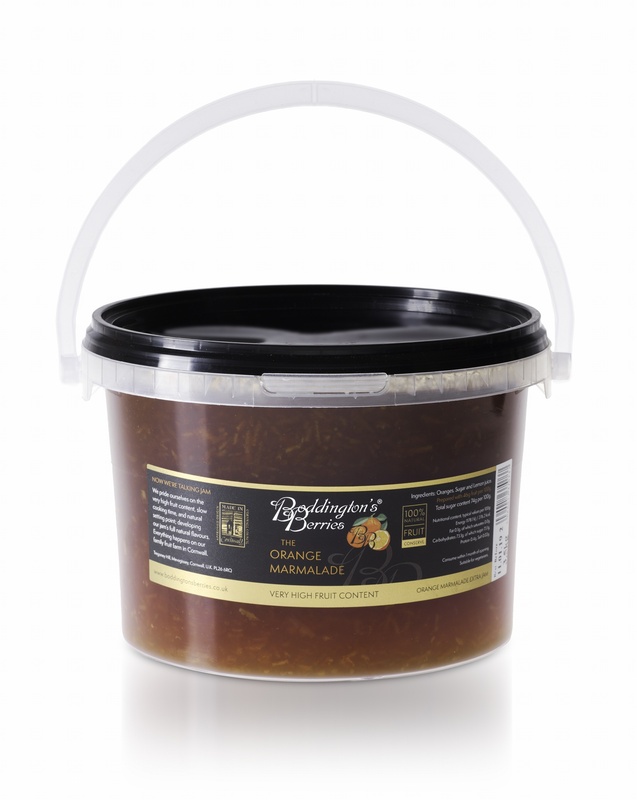 A fine to medium shred Marmalade, bursting with fruit just like all our preserves. It is made without the use of any artificial setting agents, with only oranges, lemon juice and sugar.